User created playlists ( either in PLS or M3U format) work in the ESTUARY skin just fine. The titles of tracks appear correctly when the playlist is selected. However, when a track is selected, the PaPlayer frame displays the track's filename, rather than the title supplied in the playlist file and correctly displayed in the prior playlist screen. This is less desirable, especially when the track reference is to a URL, where the physical filename may not reflect the track's title in any way. 1) a way to force the track title to be displayed in PaPlayer display via system setting in the Estuary skin? 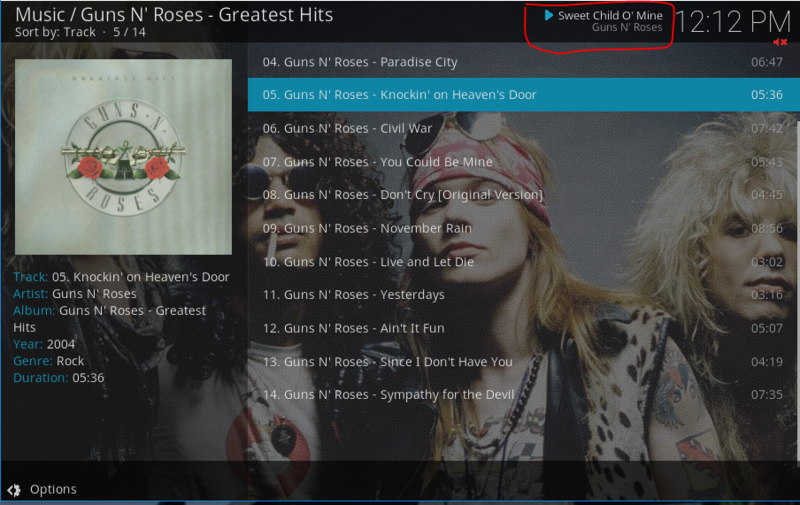 2) another skin that DOES display the track title in PaPlayer display when playing a playlist track? 3) can I request this enhansement? (2019-04-16, 22:12)majordude53 Wrote: User created playlists ( either in PLS or M3U format) work in the ESTUARY skin just fine. The titles of tracks appear correctly when the playlist is selected. I don't do anything with m3u playlists, other than test that they work. What you call the PaPlayer frame / display I assume is the music visualisation window? I can't duplicate your problem with m3us created from Kodi. Could you explain more how these playlists are constructed? @majordude53 could you post a screenshot? and if you could perhaps use https://pastebin.com/ to share a small playlist of just a few tracks to show the structure.